One of our bestsellers in Whitianga! This property is 9 minutes walk from the beach. 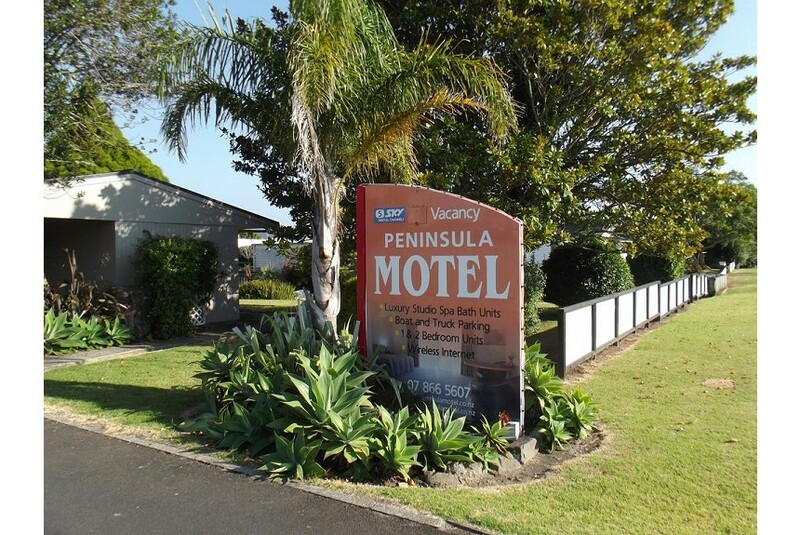 Peninsula Motel is a 10 minutes’ walk from Whitianga’s Lost Springs Thermal Pools and Buffalo Beach. The property features free Wi-Fi access, barbecue facilities and ample parking space for large vehicles like trucks and boats. The accommodations come with either a kitchenette or a well-equipped kitchen. Each has a fridge, electric blankets and a private bathroom. There is a lounge area with satellite TV. Outdoor furniture is fitted outside each unit. Whitianga Peninsula Motel is a 2-minute walk from Whitianga town centre. It is a 30-minute drive from Hot Water Beach and Cathedral Cove.